Let’s be clear – we all love snacks. However, just like any food, we can become tired of our favorite snacks after a while. That’s why we will present a brand new snack that you will probably use for a long time. If you are a fan of toasts, you should know that we’ve found a much healthier and tastier alternative to ordinary toasts. Here’s what we are talking about. A toaster and a sweet potato. 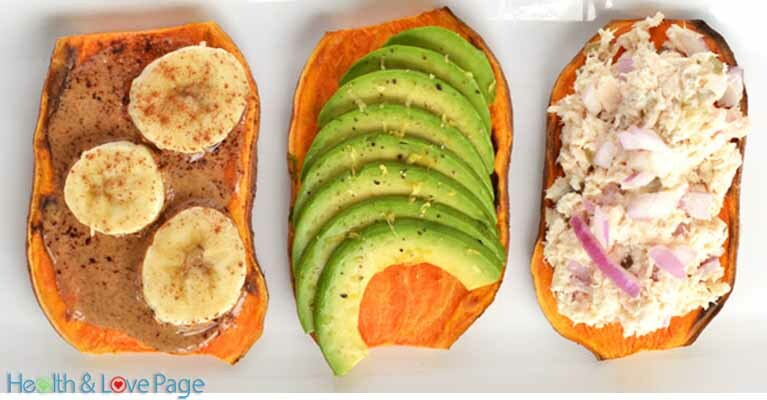 Take the sweet potato and slice it into several pieces (0.25 inch thick pieces). Of course, they should resemble a toast. After that, put them in the toaster. Once you are finished with two rounds on the most powerful setting, you can consume them. Of course, add some toppings like almond butter or avocado to enhance the taste. First of all, sweet potatoes are tasty. Next, sweet potatoes have much more nutrients compared to bread. Namely, these veggies are rich in vitamin A and vitamin C, potassium and calcium. Of course, don’t forget to share your masterpiece with your friends on Facebook and Instagram. We are sure you’ll get tons of likes.